So you want to get into the market in Summit County. You would like to get at least a one bedroom and stay under $165,000. You want to make sure that it is in a location that has an upside on resale value. You also don’t want to have the association fees too high. It would also be a bonus if the property was completely furnished. Believe it or not, this week’s Best Buys do fit this criteria. There is still time to get into the market, but how much time remains is soon to be seen. If you are paying attention to the Denver market and other markets in the country, low inventories are driving prices up. We are not quite there, and are typically one to two years behind the rest of the nation when it comes to homes. While analyzing all of Summit County, the majority of entry-level condos seems to be located on the north side of the county. The areas I am describing are located in Silverthorne and Dillon. Two of the areas featured are located in Summit Cove, which is primarily a local’s area and is only two miles to Keystone. The first property is a 625-square-foot condo located in Summit Cove. The location is great with the bike path just outside your door. It is also located on the bus route, which offers the free Summit Stage. The completely furnished one-bedroom condo has high-end furnishings, a large flat screen TV, gas fireplace, and even has it’s own washer and dryer. Enjoy the natural light from this end unit. The association fees are only $235 a month. Other utilities average around $122 a month. This property is offered for $164,900 by Steve Clark of ReMax Properties of the Summit. The second Summit Cove property is a 522-square-foot, one-bedroom condo, also located by the bike path and bus route. The property was built in 1984 and has been maintained very well. Although this property is unfurnished, the low association fees of $180 per month make a difference and the utilities average around $117 a month. Jack Carpenter of Coldwell Banker is offering this Best Buy at $149,900. 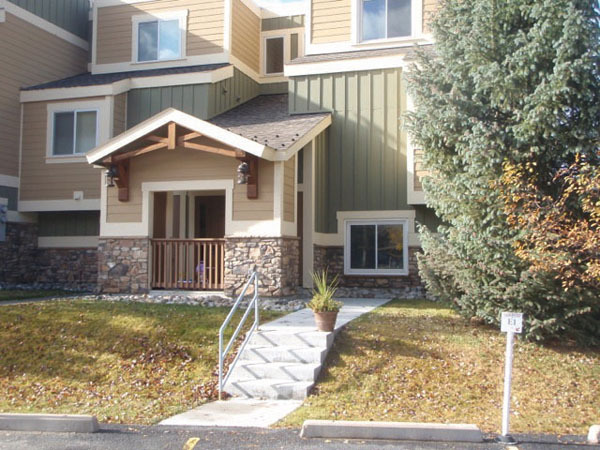 The last property featured is located in Silverthorne in an area called Wildernest. The road to this property goes up about three miles above Interstate 70. At nearly 10,000 feet, the views are spectacular. The clubhouse is amazing with a full-size indoor pool, racquetball, tennis court, game room and a fireside lounge area and conference room. There are numerous hiking trails and it isn’t uncommon to see a moose in the area. The 422-square-foot condo has its own private entrance, is fully furnished and features a wood-burning fireplace. The association fees are $381 and include heat as well as all of the amenities. Heather Wood of Cornerstone Real Estate is offering this property at $159,000. at (970) 389-6367 or http://www.leahbaxter.com, leah@leahbaxter.com.